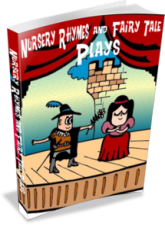 Nursery-Rhymes-Fun News, Issue #004 -- <> Let's Have Some Fun! This News is available in html format Online Here. The best kind of play is free and has only two requirements — your child and his imagination. Crawling, crawling on the ground! Slept there day and night. See how this cocoon is stirring! Spreading gorgeous wings to dry? Take a walk outside and look for textures, shapes, and colors that match the objects in your bag. Discuss why they are different and how they are the same. When you’re finished collecting and exploring, spread out the sheet and discuss all of your findings. Combine with a back yard picnic. A game for a group. One player is selected to be "It" and chases the rest. In order to avoid being tagged, a player must lie upon his back with both feet and hands off the ground, in the manner of a dead bug. 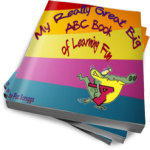 Have your child leaf through the magazines and find pictures of insects, ants, spiders, termites, anything. Give each bug a name. Make up a story about them. Do they go to school together? Let your child imagine any scenario. “WHAT THE CHILD IMITATES, HE BEGINS TO UNDERSTAND.”—Froebel - 1889. Role Playing is Fun. You’re a bug. How many legs do you have? Are you furry or sleek? These questions should start the ball rolling. Have fun creating. A minister walking home from church on a Sunday, came suddenly on a boy leaning earnestly over the parapet of a bridge with a short rod and a long string having a baited hook on the far end, by which he was trying his luck in the river beneath. "Boy," he exclaimed severely, "is this a day on which you should be catching fish?" "Who's catchin' fish?" drawled the budding Isaac Walton; "I'm just tryin' to drown this worm." Do you have an activity or game that you’d like to share? Want a byline? Great - include your name. Hope you’ll visit our site often and enjoy the many poems, stories and fun things to do. Encourage your kids to fall in love with reading. 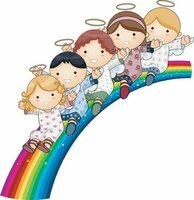 Have fun while growing their imaginations. Entertain your child with the vast and wonderful animal world. There’s so much to learn and experience and no one does it like Zoobooks.